If you’re in the market for an affordable answer to your vehicle storage needs, then look no further than Flour Bluff Storage, Corpus Christi’s most inexpensive solution for the storage of RVs, boats, trailers, commercial vehicles, and all other vehicles. We say if it rolls we can store it, so call us today! 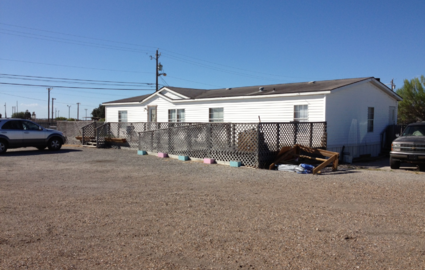 Our property on the corner of Waldron Road and Yorktown Boulevard is easily accessible from just about anywhere. We’re just southwest of the business center of Corpus Christi, so residents in and around the area can take advantage of all that we can offer. If you live in Tierra Grande, Chapman Ranch, on Mustang Island, or on the Naval Air Station – Corpus Christi, then we want to chat with you. We’re just minutes away and can make the trip worth your while! We understand that you need to keep your vehicles safe both at your home and while they are in our care. Our perimeter fencing and electronically activated gate keep any would-be thieves at bay while our resident manager can keep a watchful eye on the property at all times. This is a feature not often seen at vehicle storage locations, so rest assured knowing that our manager will report any suspicious activity right away! Need to speak with our team? No problem! We’re here seven days a week to serve you between the hours of 8:00 a.m. and 8:00 p.m. How about 24-hour access to make getting to your vehicle and returning it as easy as possible? We’ve also got handy online bill pay so you can pay your bill from anywhere without having to come down to the office to hand us a check. All of these things combined with our affordability make us a clear choice. Pick up the phone now!